Fact: As the winter progresses the thickness of ice on lakes will increase. Global warming, climate change, NAFTA…I don’t know the cause but ice thickness on average has decreased. It was not uncommon for someone to drive up to us in a pick-up truck or a jeep while we sat on buckets jigging walleyes on Oneida Lake back in the 80’s. The ice often grew to two feet in thickness. Those days are gone. The fact is that recent trends in local weather seem to feature more extremes in un-seasonable temperatures. As an outdoor guide weather is the biggest factor I cannot control. One day it is my very best friend. The next it is a howling beast. Last week, in mid-January, it was 50 degrees here in Syracuse. The thaw made for flooding and the flooding made the ice shift. And when ice starts to shift — which it does every mid-ice season on the big lakes like Oneida and Erie — dangerous pressure breaks form. Pressure breaks can form on any frozen water surface but are more common on large lakes and bays. The expansion and contraction of large ice sheets forces them to fracture. This expansion and contraction can be the result of both cold and warm air temperatures or rising or dropping water levels. Below freezing temperatures for extended periods makes the ice sheet grow in thickness causing it to expand. This expansion puts extreme force on the ice and it will crack and heave. When warmer air temperature returns, sometimes accompanied by run-off and increased flow in tributaries, the fractured sections of the ice sheet will separate from each other creating dangerous open water gaps, or pressure breaks. An obstacle like a pressure break on a large lake can be miles long and several feet wide in places. To reach fertile fishing grounds ice anglers often traverse the pressure breaks on both foot and on machines (Snowmobiles and four wheelers). 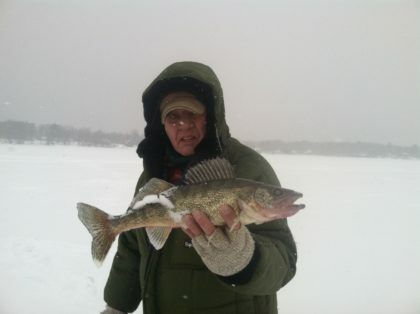 Each hardwater season ice anglers crossing pressure breaks accounts for several accidents. In severe cases, ice anglers will cross a pressure break onto a sheet of ice that is bordered by open water. Winds and subsequent current can cause the ice sheet to drift away creating an un-passable gap and cutting off return to land. When this happens the anglers get to go for a helicopter ride compliments of local rescue crews. After the ice sheet is on the lake for several weeks the transition from early ice conditions to mid ice conditions occurs. Not overnight, yet a fairly quick transition. The oxygen and light levels decrease and these factors have an impact on the fish and the food chain. Decomposing vegetation can deplete dissolved oxygen levels that are not replenished by wind and wave action on the surface of an open lake. 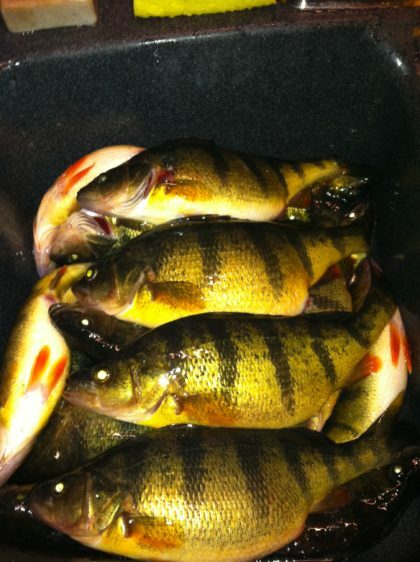 These low-light and sometimes low oxygen levels can slow the ambition of roaming schools of fish such as walleye and perch. 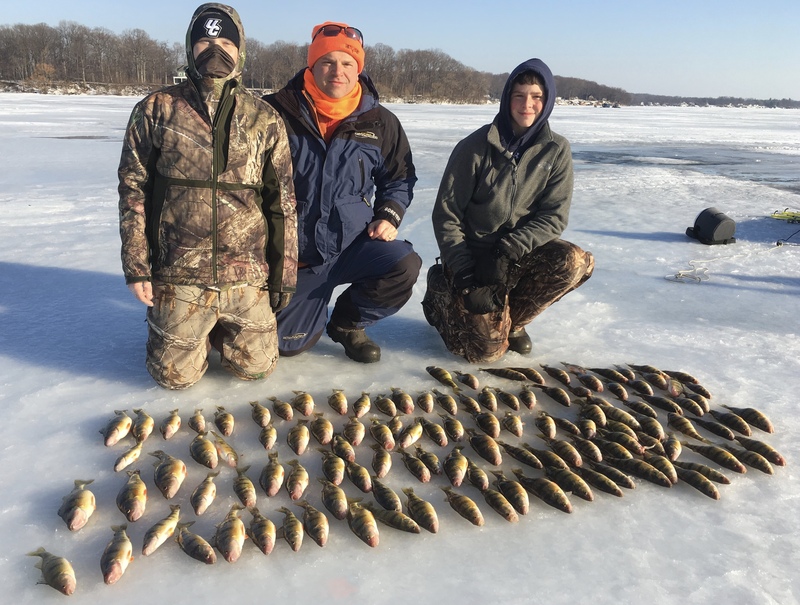 Traditionally the mid-ice part of the ice fishing season can be marked by lethargic fish that prove difficult to catch. Each season is different however. In fact, when it comes to ice angling, each day is different. Ice conditions and the mood of the fish can change quickly and the best ice anglers are those prepared to change with the conditions and not let wind or snow or cold keep them home. I have yet to catch a fish on my couch.